Wintery weather might look great on a postcard, but the reality is that winter can be a dangerous time for driving. Darker weather, icy conditions and some poor decisions over the festive period can lead to a high level of accidents on the road. It’s important that you take the right safety precautions during the winter months to help make it safer for you, and others to drive. 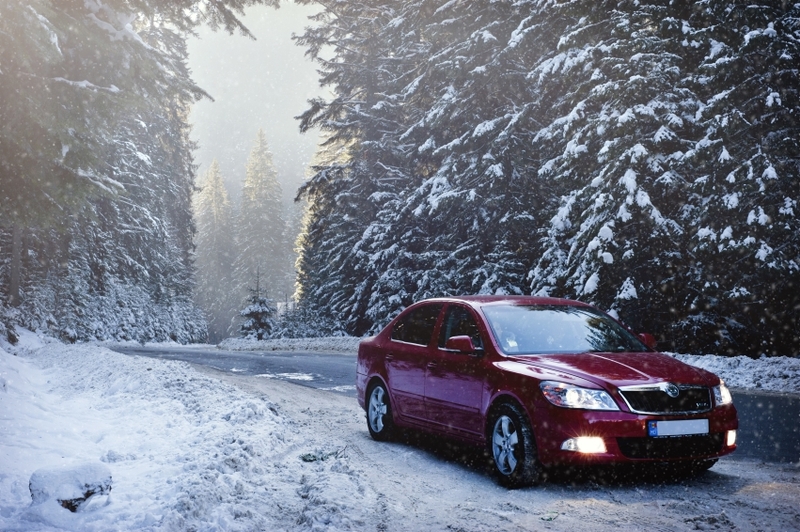 Here’s what you need to know about road safety during the winter months. Winter weather has been responsible for the deaths of more than 4,000 Americans over the last five years. Blizzard conditions, ice, freezing rain and other weather factors can make driving conditions hazardous. Part of the problem stems from drivers not adapting their driving style to suit the wintery conditions, driving too quickly and not exercising enough caution on the roads. Familiarizing yourself with some useful safety advice could help you to avoid accidents while driving in winter. According to the Federal Highway Association, nearly 70% of the nation’s roads are located in snowy regions. This means that the winter months can prove problematic for drivers, with conditions making it harder to see or regulate speed and braking in an emergency is also made more difficult. If conditions look like they might make driving difficult, you should consider avoiding driving altogether. Not only will driving when the roads are icy put you at a higher risk of an accident, but you could also be forced to abandon your car and become stuck somewhere if you’re forced to stop driving. Listen to weather alerts and use your common sense to establish when it’s ok to drive. One of the first things you should do to prepare for your car for the colder weather is to winterize your vehicle. The DMV recommends that you assess your car and make sure that you have topped up your oil and coolant levels and that the tires have enough air. You might want to consider adding snow tires if you know that driving is going to be a necessity in snowy weather or all-season tires to provide stability throughout the year. If you drive an older vehicle or one that is prone to faults, you should consider taking it in for a winter service to ensure your braking, steering and other vehicle functions are all in good working order. Alternatively, you could invest in a new vehicle, with a range of cars that are built for driving in winter available on the market. If it is necessary to drive, make sure you plan your route in advance. This will help you to avoid any problem areas and will give you a clear route to follow instead of potentially getting stuck on an unfamiliar route. Invest in a sat nav system that will update routes according to traffic or road closures to ensure you can get to where you want to go without problems. Make sure that you tell someone where you’re going and what time you are expected to arrive. This will reassure them and you that you’re safe and that someone knows where you’re meant to be and when. Having an emergency kit in your car will make sure that you have a variety of essentials should you break down or be forced to leave your car on the road. Pack spare clothes, a torch, portable phone charger, some water and food and a first aid kit. Check on your items regularly to make sure that they’re in working order, and replace any used items. If you do get stuck, then you should call for help and try and find shelter somewhere safe and off the road. If you’re in an accident, make sure you contact the police and seek medical attention if needed. If the accident wasn’t your fault, you may need assistance from a personal injury attorney to help you claim for compensation. Your lawyer will be able to advise you on your rights following your accident. Driving in wintery conditions is common for many people. While the vast majority of drivers will be more cautious and sensible during this time, the weather itself can be far less reliable. They say that it is better to be safe than sorry, and if you have any doubt whatsoever about the conditions you’ll be driving in, it’ll be much better for you to stay put. Enjoy the winter season, but remember to drive with caution.